Deliver anything in 55 minutes, 24/7! Lalamove is all about enabling you to deliver anything, fast. We match you with 2 million drivers that we've screened and trained so that you can relax in knowing that your goods are in safe hands. 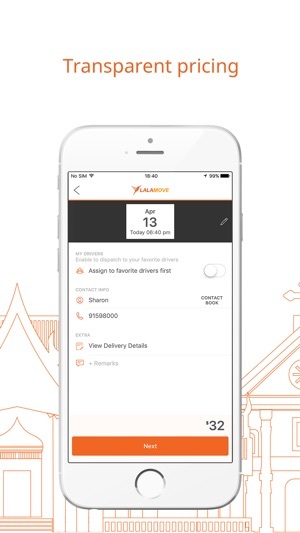 The Lalamove delivery app isn't just about same day delivery. 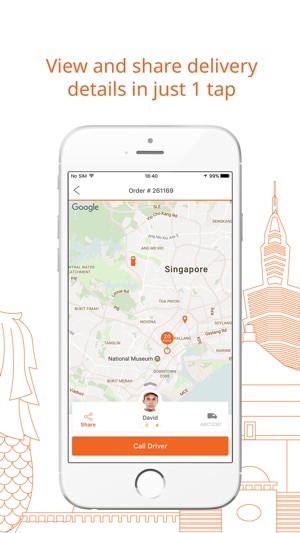 You can request exact pick up and delivery times and our driver will be there, just like that. Enable proof of delivery and sign off packages to ensure a smooth, secure delivery. - eWallet - your option to deliver conveniently, go cashless! Lalamove is used by over millions of users across Southeast Asia (Hong Kong (HK), Taiwan (TW), Singapore (SG) Thailand (TH), Philippines (PH), Vietnam (VN), Malaysia (MY), and Indonesia (ID)). Whether you need to hire a bike, van or vehicle, our app provides you with access to over 2 million professional drivers in the region. 3. 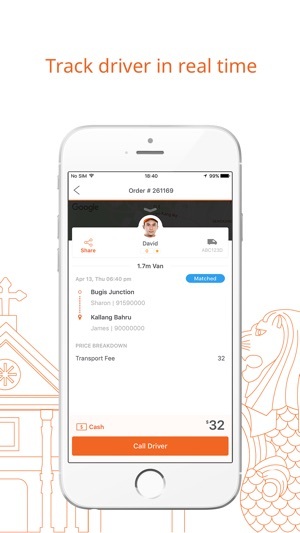 Confirm your details - your driver is on the way! Thank you for choosing Lalamove. We keep on optimizing to provide great service to our customers. 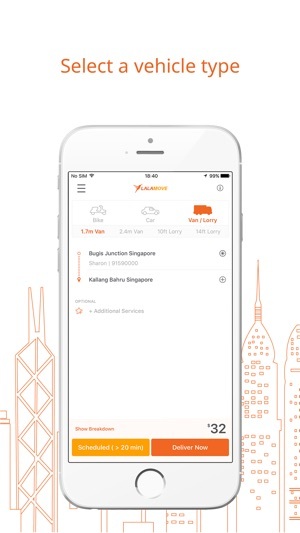 Please download the latest version to enjoy your best experience in fast & simple intra-city delivery among Asia. Needed to move some furniture from a friend's house. Called Lalamove, and the person I was matched with was really friendly and helpful! Would use again!! Cant track packages being received in the App and their messages for a package coming does not real time track.